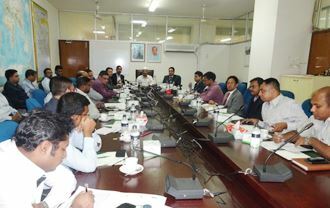 On Monday, 26th of October 2015, Bangladesh Railway and the Public Private Partnership Authority (previously known as the Public Private Partnership Office) held a pre-application conference for the PPP project titled “Development of 5 Star Hotel at Chittagong through Public Private Partnership”. 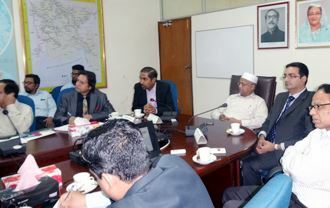 The conference was held at Rail Bhaban, the headquarters of Bangladesh Railway. It was attended by investors, corporate houses, developers, financial institutions and hospitality operators of the country. Mr. Syed Afsor H. Uddin, CEO, PPP Authority, welcomed various delegates and Bangladesh Railway personnel to the conference, and set the stage by briefly highlighting the functions and achievements of the PPP Authority. Mr. Uddin emphasized on the importance of coordinated efforts from the government and the private sector to make PPP projects successful in this country. Md. Amzad Hossain, Director General, Bangladesh Railway, highlighted the importance of this project to Bangladesh Railway. Mr. Hossain also highlighted the fact that such a large contiguous parcel of land in the heart of the city is very rare in Chittagong, and stated his belief that the project will be a success. He also assured the participants that the private partner to be selected for this project will receive all possible help and assistance from the Authority. Mr. Abhilesh Babel, CEO, Feedback Infra Private Limited, the transaction advisors for the project, delivered a presentation outlining the key drivers of the project. He discussed Bangladesh Railway’s vision of commercially utilizing this unused land parcel in Chittagong and developing an iconic establishment that will cater to the needs and aspirations of the city of Chittagong. He touched upon the minimum development requirement for the project and discussed various ancillary development options that potential bidders can consider and evaluate. He also explained the bid process to be followed and key timelines for the project. The actual modalities of the bidding process were discussed in detail, including eligibility criteria and process of proposal submission. The presentation was followed by an interactive Q&A session where all stakeholders discussed their queries about the project and the bidding process. After suitably addressing the queries, the conference was ended with a note of thanks from the CEO of the PPP Authority and Director General of Bangladesh Railway. The RFQ submission by interested bidders is due on 25th November 2015.